Attempt missed. Bastian Oczipka (FC Schalke 04) right footed shot from the centre of the box is too high. Assisted by Daniel Caligiuri. Attempt saved. Mikael Ishak (1. FC Nürnberg) right footed shot from the centre of the box is saved in the bottom right corner. Assisted by Matheus Pereira. Attempt missed. Nassim Boujellab (FC Schalke 04) header from a difficult angle on the left is too high. Assisted by Bastian Oczipka with a cross following a corner. Attempt blocked. 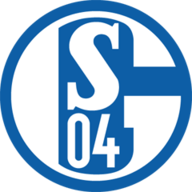 Bastian Oczipka (FC Schalke 04) left footed shot from outside the box is blocked. Attempt saved. Patrick Erras (1. 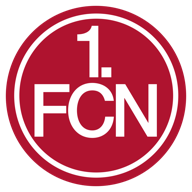 FC Nürnberg) header from very close range is saved in the centre of the goal. Assisted by Sebastian Kerk with a cross. Attempt missed. Guido Burgstaller (FC Schalke 04) header from the right side of the six yard box misses to the left. Assisted by Daniel Caligiuri with a cross following a corner. Attempt missed. Nassim Boujellab (FC Schalke 04) left footed shot from outside the box is too high. Assisted by Daniel Caligiuri.